Today has been a very busy and prosperous day as we have 3 weeks to leave and be completely out of her house and moved into the RV. So far we have accomplished at least 100 things off of an ongoing checklist that somehow keeps getting stuff added to it. But everyday I feel like we’re getting closer to leaving and it’s really exciting and terrifying at the same time. We found a good home for our cat and one of our dogs, just one more to go. 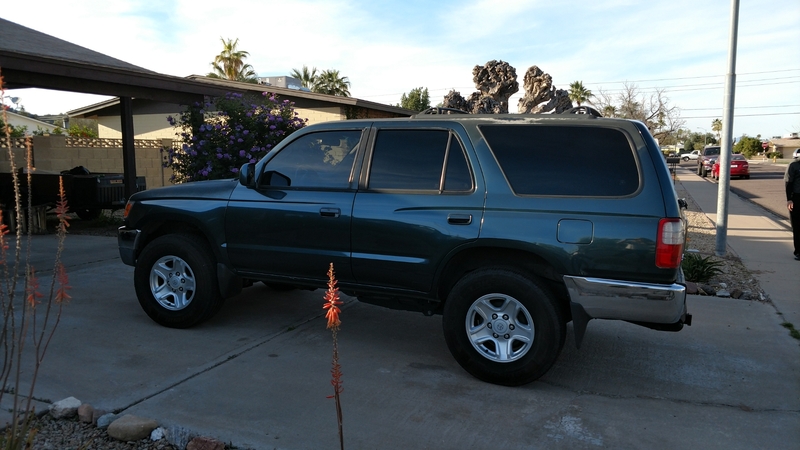 Also Scott is really sad to see his 1998 Toyota 4Runner go because it’s super awesome, but everything’s gotta go I guess. Oh yeah and on top of everything the 4Runner needs and oil change, the RV needs an emission test, and we need to register the RV in our names finally!! It’s funny how Fortune falls upon you when you have things posted for sale for several months and then all the sudden everything gets sold in one day which is basically today. Scott was up at 5 o’clock this morning so that he could load up the trailer and take the final load of yard debris to the landfill so that we could sell the trailer to our aunt and uncle this afternoon. 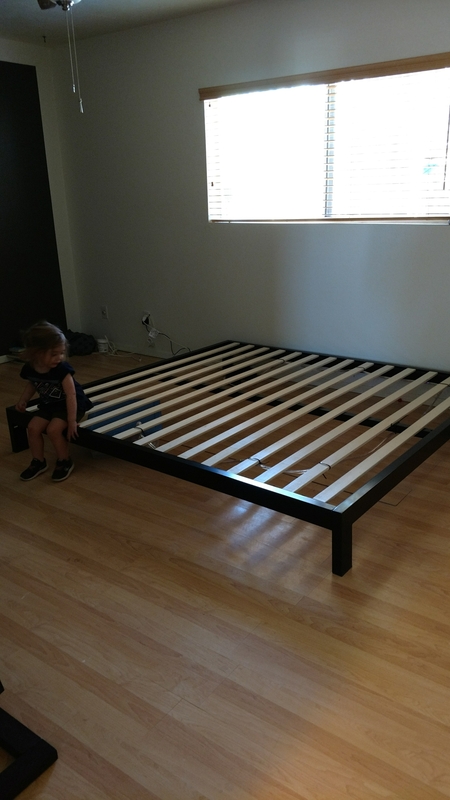 So far we’ve had the king bed picked up and moved out although we still need to sell the frame. Want one? 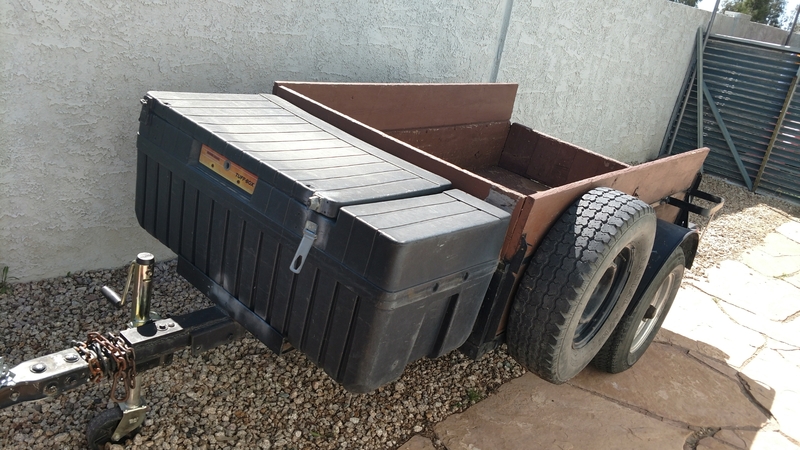 We are heading to sell our 6-foot trailer to our awesome aunt and uncle so we know it’s going to a good home. And then hopefully by tomorrow morning we should have the drum set out of the house as well. It’s all really exciting and so much. We had to take a lunch break and go to Valle Luna’s which is an awesome Phoenix based Mexican restaurant that has salsa and then hot sauce and these awesome restaurant style too. And then of course we got food and drinks so that was great. The kids asleep in the back gotta run. It was really tough for us to leave behind the things that we wouldn’t need in the RV life but it was rewarding afterwards. We did rehome one pet but kept one kitty and 2 dogs. The kitty we found a new home for went to a friend who she already knew so that made it much easier for us knowing she would be well taken care of. She would be horrific while traveling. Hopefully the good feelings of letting go come soon!